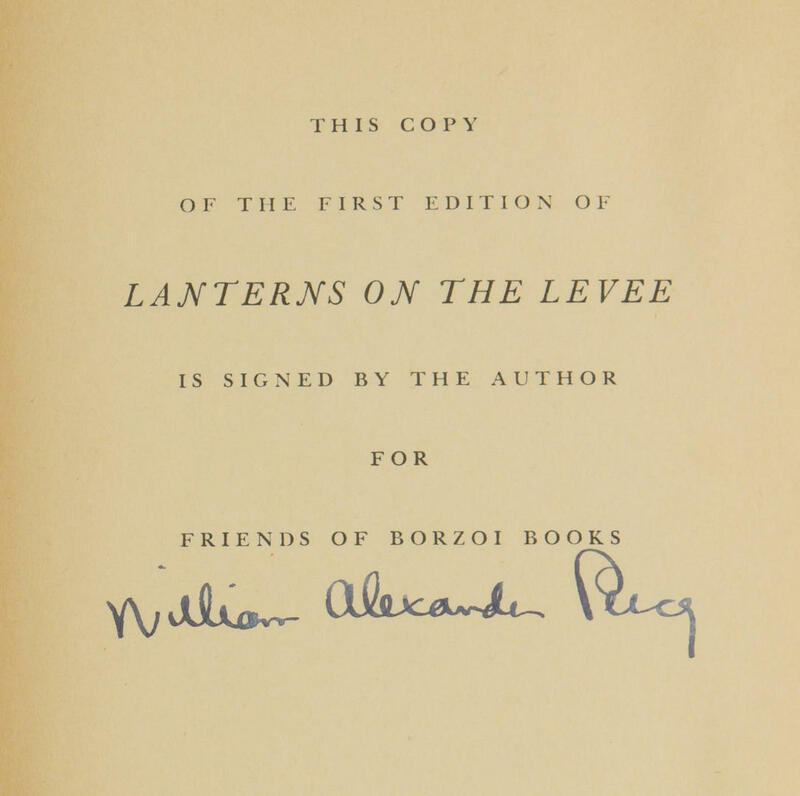 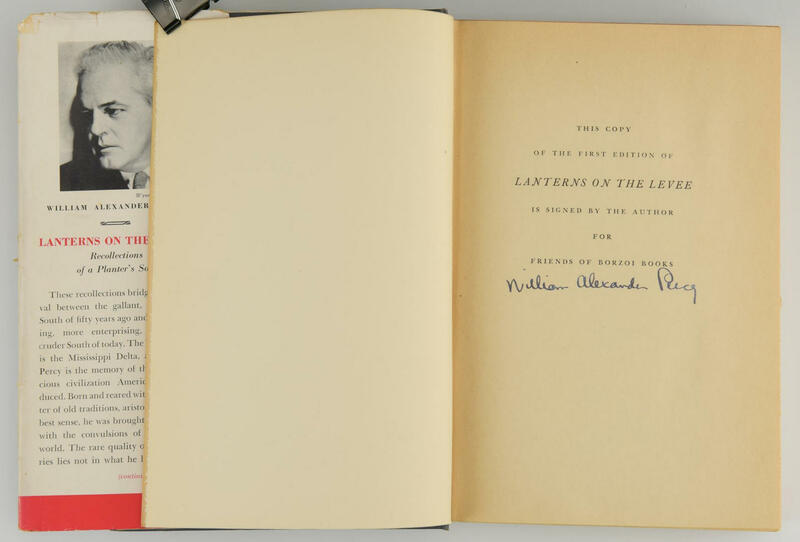 Lanterns on the Levee, Recollections of a Planter's Son (signed first edition). 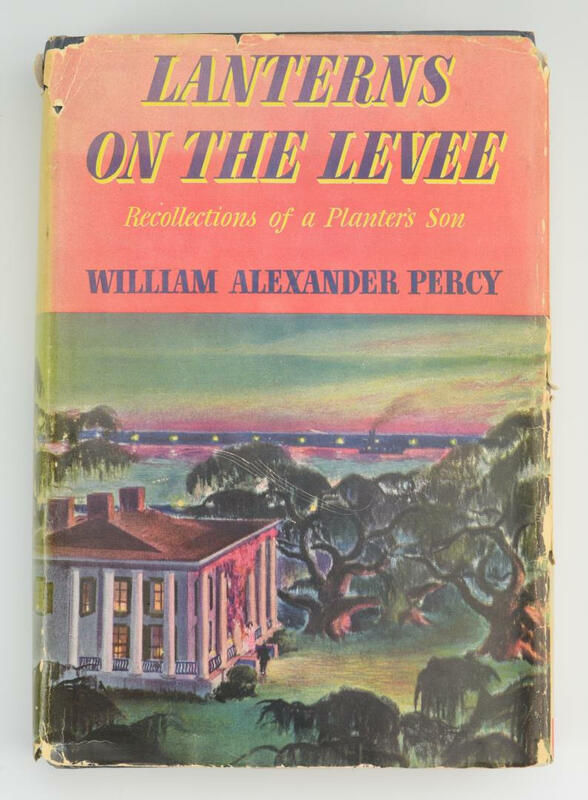 Author: William Alexander Percy. 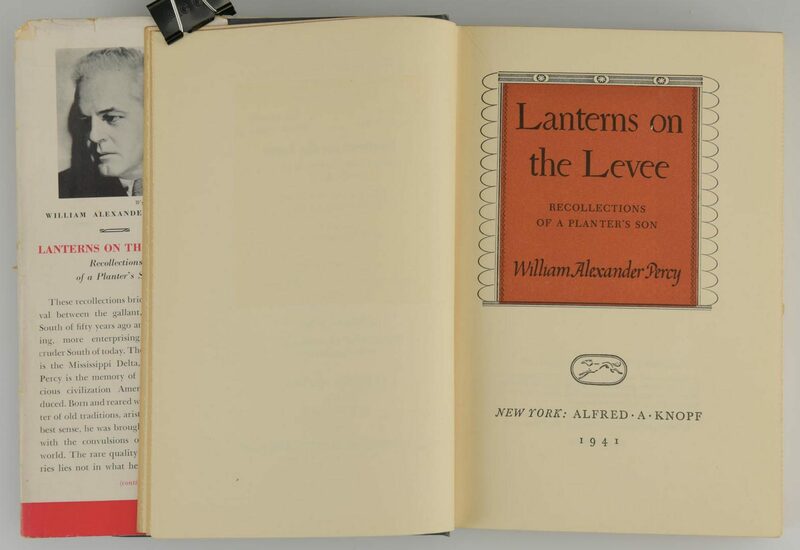 New York: Alfred A Knopf, 1941. Special signed First Edition, so stated, with an extra sheet bound in "Signed by the Author For Friends of Borzoi Books". 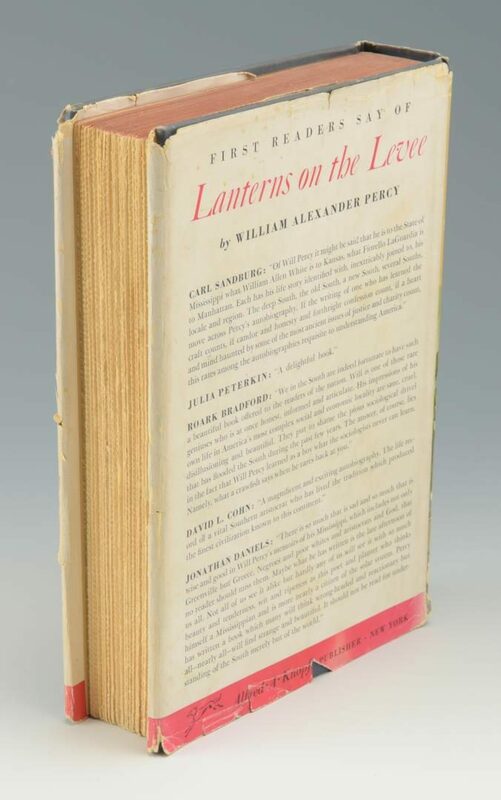 8 5/8" H x 6" W x 1 3/4" D. Provenance: Collection of Charles and Ann Wells, Nashville, Tennessee. 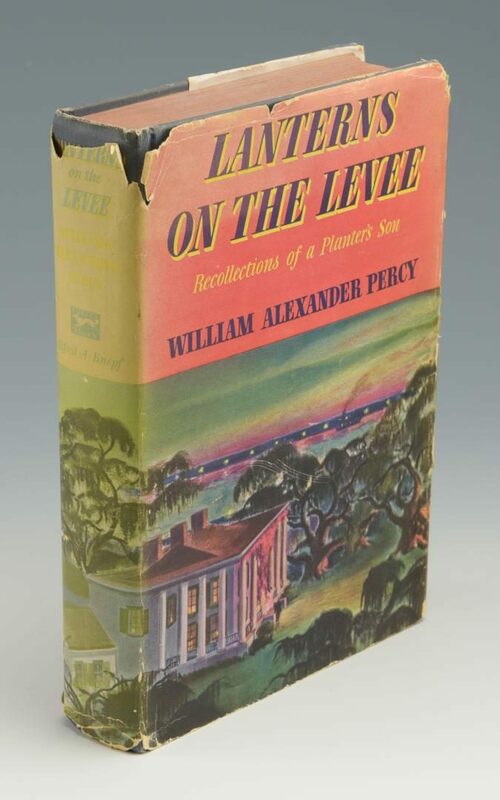 CONDITION: Hardback in good to very good condition. 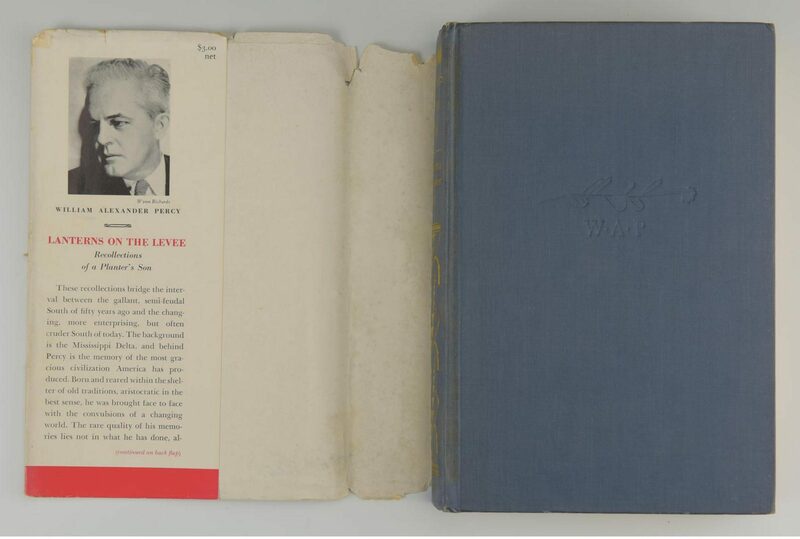 Dust jacket shows wear, with some chipping, missing small parts. Spine is a little faded.